Ushna Shah is on a roll. After popular performances in TV dramas like Bashar Momin, Lashkaraand Alif Allah Insaan, her portrayal of Nigaar in Balaa is the one that got her noticed by the Lux Style Awards. The actor has received a Best TV Actress nomination this year. In Balaa, Ushna plays Nigaar, a spoiled, self-centered young woman whose personality has been stunted less by her actual disability than by others' reactions to it. She may have a congenital defect that makes her walk with a limp but it's her father's coddling that has warped her personality. There is nothing outrageous about Nigaar, she isn’t rude nor is she loud but she understands human psychology just a little too well and has no qualms about manipulating others or pushing anyone out of her way. We ask Ushna what it was like to play this complex character and how it feels to finally be recognised for her work. Images: This is your first LSA nomination. Given your character was hotly discussed when Balaa was airing, were you expecting that this will be your year? Ushna Shah: This is my first LSA nomination and I am very grateful for it. While I was working on Balaa, I hadn’t really given it much thought as I was completely focused on the character that I was playing. I left the country soon after and couldn’t really live through the hype and love that the serial had received. I thoroughly appreciate all the love and response I have received from the public and it makes me so happy to see people love our work. Images: Nigaar isn't the first of your characters to have provoked a response - people appreciated you in Bashar Momin, Lashkara, Alif Allah Aur Insaan, etc. Why do you think it took so long for critics to notice your acting prowess? Ushna: I wouldn’t say that it took them long because when I did Bashar Momin, I won the best newcomer award for it. Likewise, I received a HUM TV award for Alif Allah Aur Insaan. Lashkara was very successful critically rather than commercially and to me it has been one of my most favorite characters. The story was relatively dark and analytically it picked up; however, award shows pick an all-rounder that is both commercially and critically successful. I do believe acting wise there are platforms that recognise artists properly. Images: Coming to your character, why did you sign up to play Nigaar? Why did it appeal to you? Ushna: I always like to challenge myself and as an actor I try to set a bar for myself with the character choices that I make. After the character I did for Alif Allah Aur Insaan and Lashkara, I further wanted to play women who evolve and go through a journey. There were so many shades to my character in Alif Allah Aur Insaan and Lashkara and that was the same with Nigaar in Balaa. She had so much more to her; you could say she was a textbook narcissist and a sociopath and having seen a few people like that, this complex character drew me towards her. The writer and the production team were so encouraging and had full faith in me that I would be able to play Nigaar. It was absolutely flattering and though I was nervous about it, I am glad I got to play this character. Images: What was the most challenging aspect of playing Nigaar? 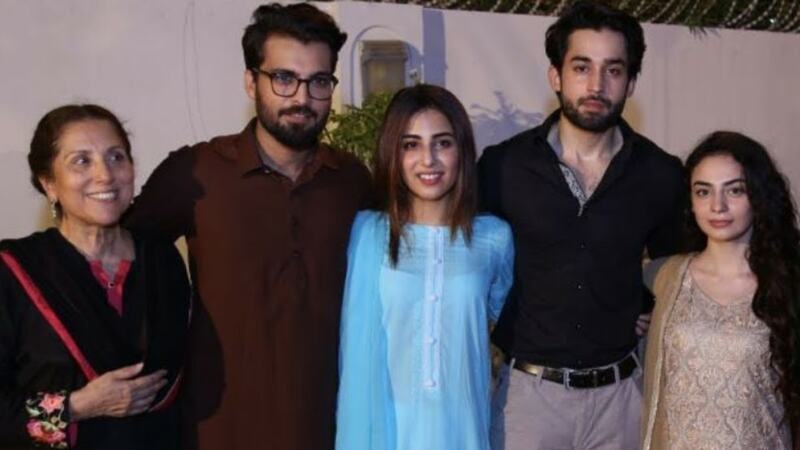 Ushna: It was really difficult as we were shooting in May-June during Ramazan and I had just got a dental surgery done and couldn’t take painkillers while working as I was fasting. Being away from family, carrying a hot heavy wig in sweltering heat and being in physical pain was all kinds of challenging and I channelled that physical pain into the character. It helped me play Nigaar. Other than that, playing Nigaar was a great experience. I got to have so much fun with her and it gave me a chance to tap into my creativity and work with these incredible actors that gave me so much. Images: How did you prepare for this role? How did you ensure that your portrayal of a person with a disability was authentic? Ushna: As far as authenticity is concerned, I am always concerned about the reality of my character. I always want there to be absolute truth in all my characters. If I am not nervous, I am nervous! So that is how it works. For every scene unless and until I can perform to the best of my ability and bring truth to the set and convince myself that this was real, I can’t be satisfied. That is the evolution I have had as an actor over the years. I was very nervous about the authenticity and some changes had to be made to the character to make it more genuine. That is where the creative collaboration between the writer, actor and director comes into play. Apart from that, I prepared for the role by studying narcissism as much as I could and bringing myself into that zone. This is quite funny but my portrayal of Nigaar and her obsession with Taimoor is partly inspired by my dog. I have a rescue dog that was abused and was very aggressive towards other dogs. When we rescued her, there was this look she would give us because she had been loved for the first time. I actually brought that in the way Nigaar would look at Taimoor. She was horrible to everyone else but she would look at him starry eyed. So I gathered my inspiration from a lot of things like toxic people I have met before, from people who exhibited narcissist or sociopathic behaviour and even my dog. Images: What do you make of the current controversy surrounding the Lux Style Awards? Do you think there should be greater transparency about the composition of the juries? Ushna: I do not like to focus solely on the reliability of awards because I have had work that has been appreciated but I have also had work that I was expecting to be appreciated for but it wasn’t liked by the people. This is not something that I rather give too much thought to because I feel it deters my creativity and that is something that I don’t want to compromise on at all. As much as I appreciate and like awards I try not to be validated by them. I have won awards when I wasn’t expecting anything so I just want to focus on my work and see where the road leads me to. Images: Could you tell us about your future projects? Ushna: I am working on a couple of nice projects that I don’t want to give away right now. I like to surprise my fans and I promise you whatever it is will be entertaining. 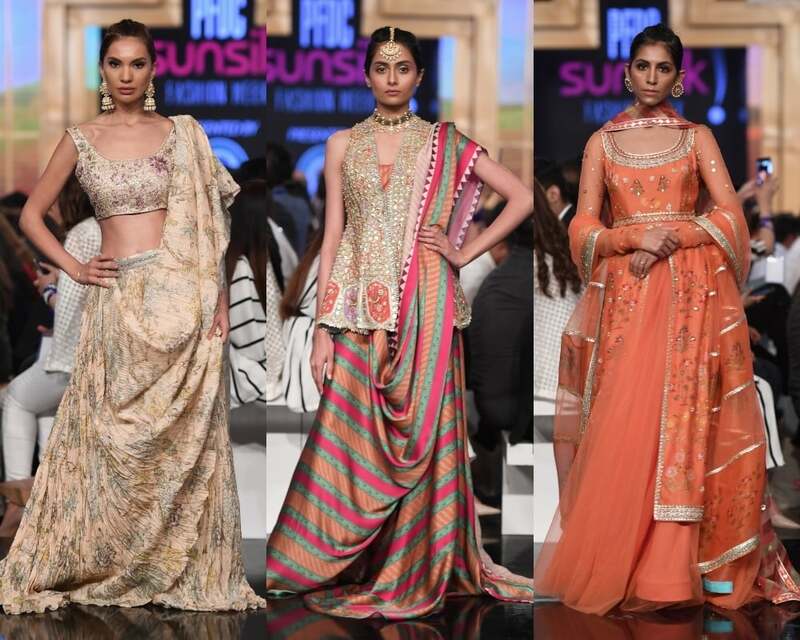 “Which show will you be attending?” the red carpet buzzed on the first night of the PFDC Sunsilk Fashion Week (PSFW). Aside from the media – destined to attend each and every show – there were attendees who had swooped in to see particular designers. Everyone had their favourites. 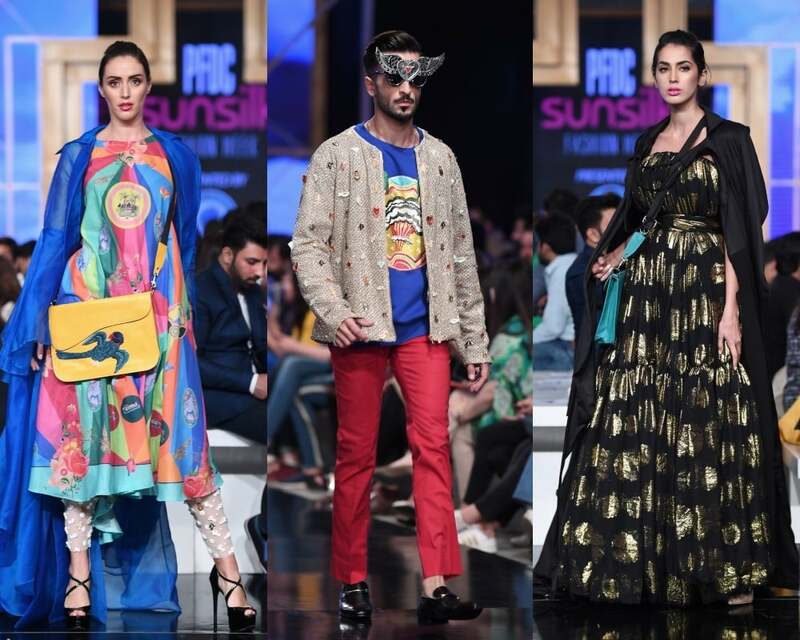 With a hefty designer lineup that kicked off with Zara Shahjahan and was followed up by Sania Maskatiya, Hussain Rehar, Yahsir Waheed and a finale by Fahad Hussayn, there was so much to look forward to. In fact, the PSFW montage, overall, boasts some very intriguing names. Kudos to the council for collating a great designer lineup. And most of the shows on the first day did not disappoint at all. But before we proceed to dissecting the collections, here’s a point to ponder: what exactly is pret in Pakistan? 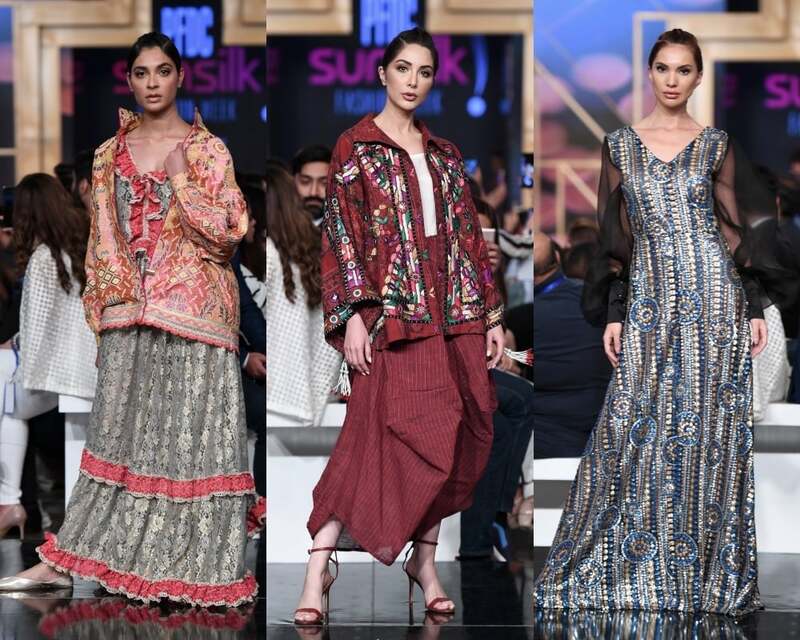 The PSFW is a platform that has often pronounced itself to be dedicated to pret but then, how does one define this particular genre in Pakistani fashion? Is it gota worked onto wearable evening wear that could also be worn on festive occasions? Perhaps. Is it lawn, given cutting edge twists, layered trench coats and spectacularly aligned sequins, trailing down jackets and tunics? I would think so. Is it lehngas, worked with intricate embroideries and a bride, swathed in twinkling florals, her head covered, wearing a jhoomar, a teeka, the whole shebang? Of course not. Or is it now? What are the Pakistan Fashion Design Council’s (PFDC) thoughts on this? Some gorgeous, utterly covetable designs trooped down the PSFW runway on the first day but not all of them qualified as pret. It’s quite evident that designers’ inclinations towards the profitable realms of wedding-wear cannot be reigned. Ever. Zara Shahjahan returned to the catwalk after a long time with a show that indelibly bore her signature. It was almost akin to sifting through her website or leafing through a catalog of hers: lucid, traditional silhouettes in subtle colors, worked with smatterings of gota, kamdani, zari and zardozi. The clothes were so utterly pretty: the angarkha paired with a chooridar, the glittering paisleys, zig-zags and florals, the translucent kurtas floating over gharara pants and the cigarette pants worked with ghungroos at the ankle! According to the designer, the collection will be up for retail soon and it has the makings of being a hot-seller, easily traipsing from formal evening-wear to dholki-wear to Eid-wear. Having said this, what looks great in a catalog needs to be amped up in order to make a memorable splash on the catwalk. The designs were intrinsically pretty but could have made really strong statements with a bit of drama added in – funky jewellery, perhaps? Some twists on the hair and makeup? It’s great, though, to see Zara Shahjahan back in the lineup at a fashion week. The designer worked her traditional, old-school ethos very well. 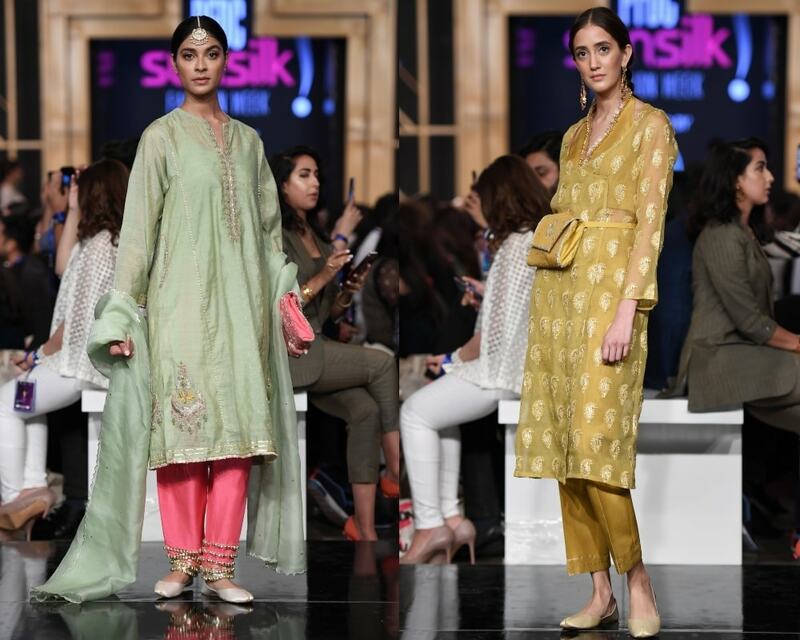 Sania Maskatiya’s ‘Isfahan’ lilted, sweeping the catwalk in a heady mélange of pastels, mixing florals with strips of chata-pati, exquisite gota and ethnic silhouettes, given a few modern tweaks. This was Sania’s ode to the Eastern-wear that sells so well in her stores and the clothes, once again, ran the gamut from the dholki to the Eid to the formal ghazal night. The finesse of Sania’s work also must be commended: the designer knows how to cut a neat silhouette and to work it with an aesthetic that is so enticing. There was also a bride on the catwalk – not exactly the pret that the PSFW speaks of … but very pretty. What a splash Hussain Rehar made! The clothes streamed out, twinkling with sequins that had a mind of their own: gathered in tufts on an all-white cape, twirling into abstract florals and aligned into digital, futuristic patterns. There was so much to love in the lineup: the all-red jacket, cinched at the waist, the capes, the two-piece suits worked entirely with sequins, the vertical strips of color flowing down gowns. The show was high on energy as well as fashion – it’s so good to see a young designer emerge into the spotlight with a vision of his own. There are so few of them. 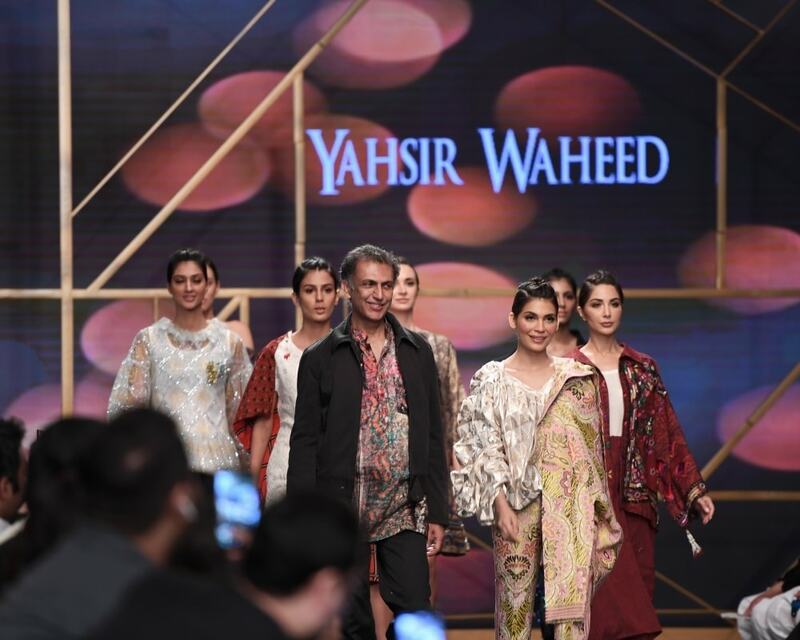 Yahsir Waheed is one of Pakistan’s pioneers in designer lawn and he has long been dedicated to the fabric. It was this love for print that he brought out to the catwalk. His collection was a playful mix and match of color, print and texture. What particularly caught the eye were the easy breezy jackets, balanced lazily at the shoulders and varying from printed versions to others, embellished with ethnic mirror work, and some statement pieces worked with dashes of emerald green sequins. The collection had its strong points – some weak ones too - but what’s important is that it needs to be brought to retail. I am hoping that this wasn’t one of those shows created purely for the catwalk and fading away afterwards. Yahsir, after all, has a well-honed flair for what works in the market. Trickling this lineup to retail should be right up his alley. 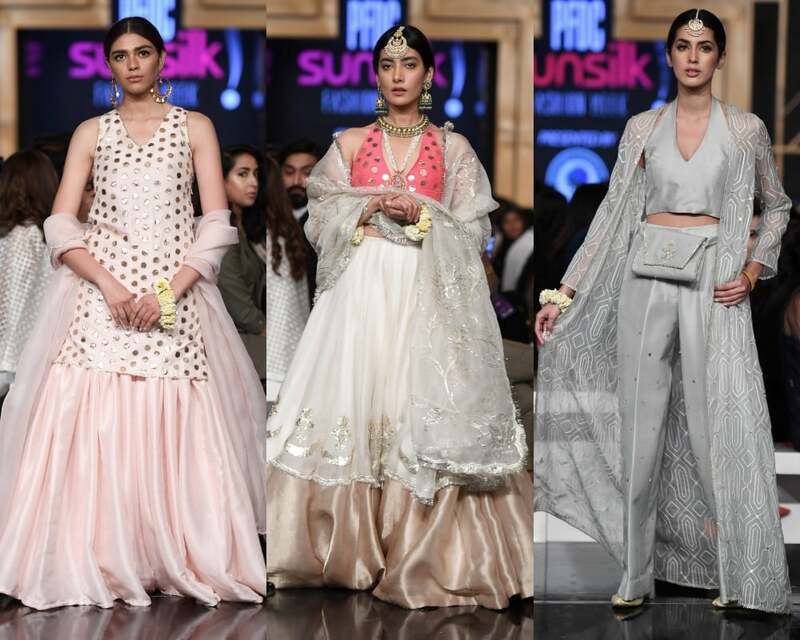 The collection was called ‘Suraiya Titanic’ – you can always count on Fahad Hussayn to come up with quirky, intriguing titles and to devise quirky accessories to go with the theme. Venturing backstage before his show, I saw the designer hard at work. The models’ hair and makeup had been wrapped up and they were already dressed but there’s always so much more to a Fahad Hussayn show than these mere nitty-gritties. Chamak-patti headgear had to be fixed and sunglasses with chamak-patti wings attached to them had to be worn. Fahad, infamous for his love for eccentric accessories, was fixing them on to the models himself. I wish, then, that these accessories had been more visible on the catwalk. The models walked much too fast for the details to be appreciated. It was only much later, when they took their final walk, that I was able to see the designs and accessories more clearly. The first half of the show, dedicated to the designer’s limited edition stitched voile line, Fahad Hussayn Print Museum, was the highlight. There is always a peculiar kaleidoscopia unique to Fahad Hussayn’s prints and there were standout patterns in this collection, inspired by truck-art: a parrot suspended in air, faces plastered down the length of a tunic, arched clouds and florals and geometrics interspersed together. It was print with a couture spin to it. Lovely. Following up, was the designer’s couture line, primarily comprising of heavily worked lehngas and dupattas. 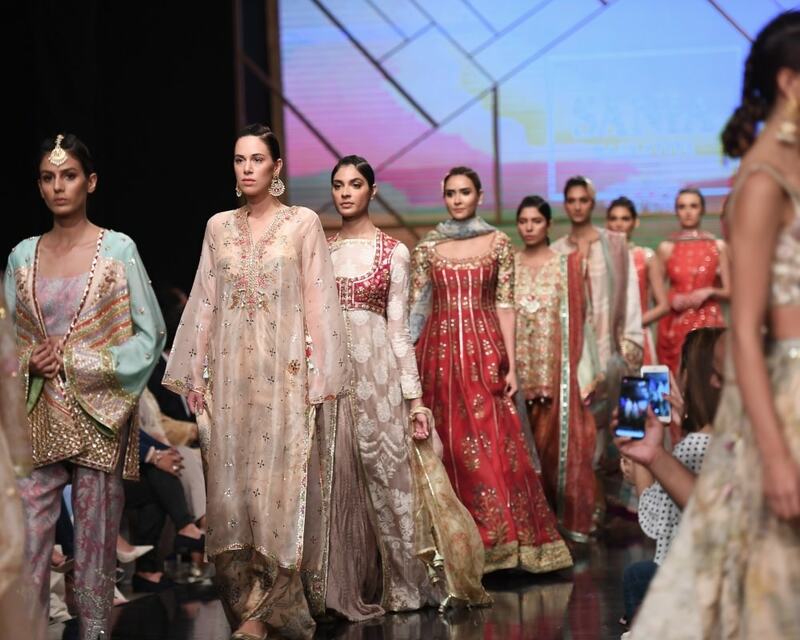 The quintessentially intricate embroideries and deep colour palette from the designer’s ‘Heritage Revival’ series were beautiful – but so out of place given that they were part of a show that had started out with printed lawn. 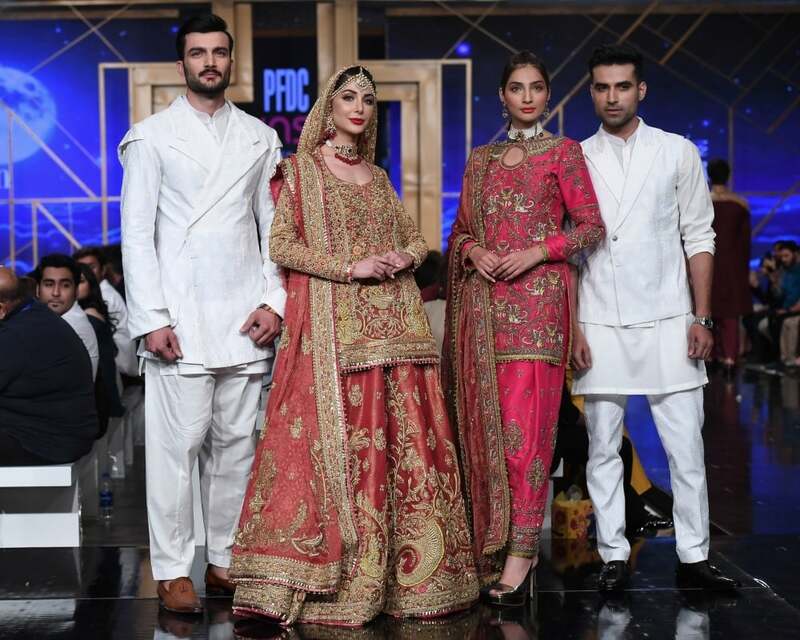 Fahad had a solo slot and perhaps he just wanted to showcase all the various lines within his design house but these were bridal pieces through and through. They didn’t fit with the truck-art theme that had started off the show nor with the ethos of PSFW. A word about the lehnga, though, worn by showstopper Amna Ilyas – the florals entwining about the hem were so distinctive! It’s worth checking out by anyone planning out their wedding wardrobes right about now. In fact, wedding-bound readers will be happy to know that this seems to be a very wedding savvy fashion week. Sneak peeks into collections on the second and third day also hint at plenty of dholki clothes coming out on to the runway. Oh well. Also noticeable at PSFW is a batch of tall, thin new models who are walking the runway quite well. It’s always good to see young blood enter the modeling pool and some of these girls and boys appear to have a lot of potential. They, coupled with great styling by Nabila’s and some very good designers, are making the catwalk look good, bling and all. Dubai, United Arab Emirates, November 6, 2018-- Thugs of Hindostan, dubbed to be India’s biggest film ever, will hit the cinemas in the UAE and across the Middle East on November 8, 2018. Yash Raj Films is taking this extravagant action-adventure to a whole new level of cinematic experience. The Amitabh Bachchan- Aamir Khan starrer will be released in 4DX, the latest movie theatre immersive experience that has taken the world by storm. Watching a film in 4DX is like being a part of the story in more ways than one. One can touch, feel and sense many moments that happens onscreen. From explosions of fog, smoke or a gentle breeze, this viewing experience makes a viewer feel all of it, while sitting on specially designed seats with specially positioned sound systems. One can also smell different scents and feel a turbulent storm raging onscreen. While watching Thugs of Hindostan, details of a raging sea, an action-packed battle and elements like sword fights and changes in weather will be felt vividly on 4DX. One can also feel bubbles and droplets of rain. This technology is the ultimate in state-of-the-art technology delivering a fully immersive cinematic experience. Inside every dedicated 4DX auditorium, motion chairs and environmental effects such as wind, bubbles, and scent work in perfect synchronicity with the action on screen. By taking the film to a 4DX experience, Yash Raj Films has taken a quantum leap for Hindi cinema to a whole new way of enjoying the magic of movies. The action packed mythical mega flick set on the high seas, will release in 4DX at VOX Cinemas in the UAE, Oman, Qatar, Egypt and Lebanon, at Cinescape in Kuwait and Mars Cinemas in Turkey. Yash Raj Films Thugs of Hindostan is the biggest visual spectacle hitting the big screen this Diwali. It boasts of a larger than life, never seen before action extravaganza and an incredible casting coup that brings together two of the biggest legends of Indian cinema, Amitabh Bachchan and Aamir Khan on screen for the first time. The film also stars Katrina Kaif and Fatima Sana Shaikh. The mega-starrer has been directed by Vijay Krishna Acharya and produced by Aditya Chopra. Thugs of Hindostan will release in Hindi,Tamil and Telugu across 2D Imax and 4DX in Cinemas . According to Zoheb Hassan, Nazia Hassan's ex-husband Mirza Ishtiaq Baig is planning to make a film on the Pakistani pop star. However, the Hassan family is opposed to the idea. He wrote that the family will sue anyone who is part of the project. 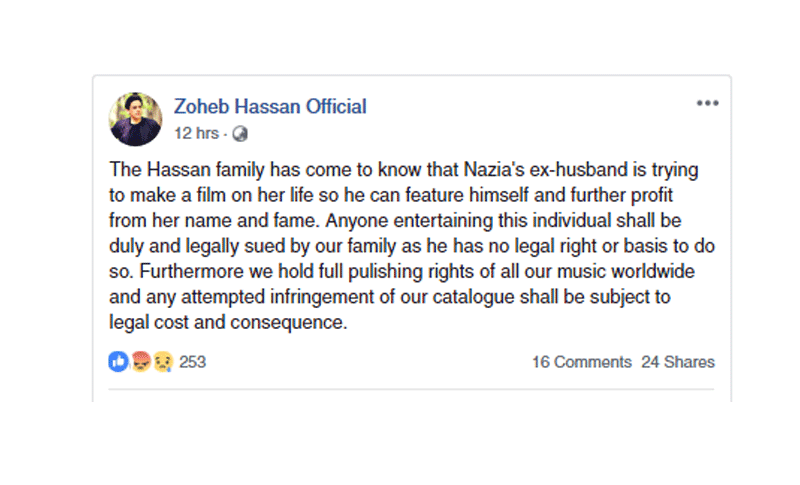 In a Facebook post, Hassan said, "The Hassan family has come to know that Nazia's ex-husband is trying to make a film on her life so he can feature himself and further profit from her name and fame." "Anyone entertaining this individual shall be duly and legally sued by our family as he has no legal right or basis to do so. Furthermore we hold full publishing rights of all our music worldwide and any attempted infringement of our catalog shall be subject to legal cost and consequence." Nazia Hassan's married life was a tumultuous one. She got married to Baig in 1995, had a son Arez Hassan and divorced him in 2000, reportedly days before she died due to lung cancer.